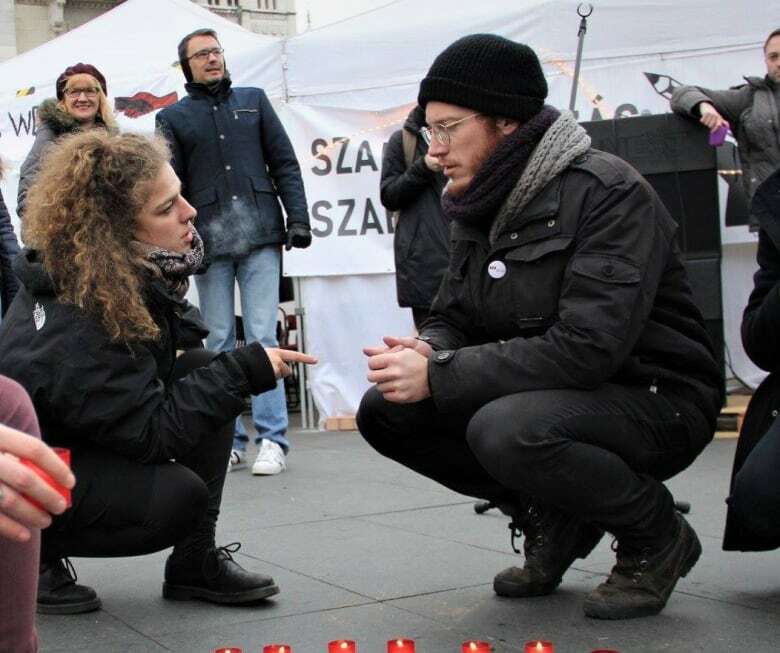 A Canadian student who was arrested while protesting Hungary's new "slave law" denies allegations he assaulted a police officer and says he'll continue attending protests. Adrien Beauduin was arrested at a rally last week and charged with a "felony against a public official committed in a gang." "Out of the blue, the police charged and I was caught in that charge and I was arrested," Beauduin told As It Happens host Carol Off. He was released after two nights in jail and is now awaiting trial. "There's four other people who were arrested more or less at the same time, people I don't know… and from what they told me in the cell, they have exactly the same description of the alleged crime," Beauduin said. "They all are accused of having hit with their left arm and have kicked in the direction of the police." 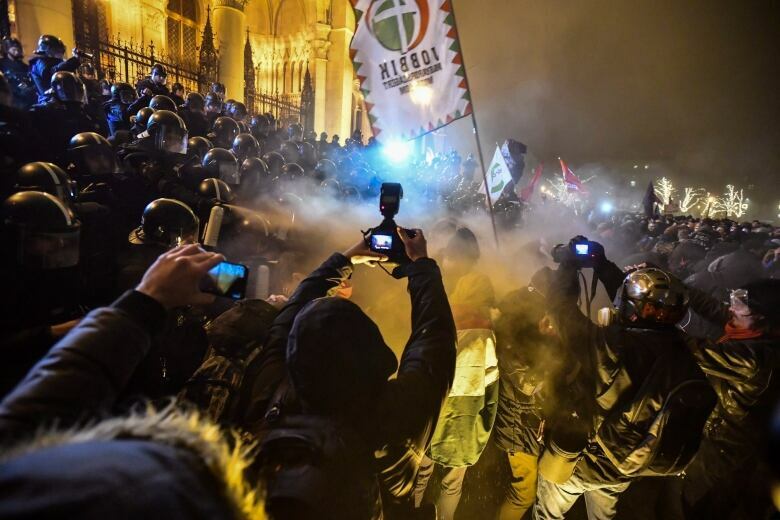 Beauduin, a student at Hungary's Central European University (CEU), joined thousands of protesters outside the parliament buildings in Budapest on Dec. 12. He says things began to heat up at the protest early in the evening as riot police used pepper spray and batons to try to disperse the crowd. But closer to midnight, when things began to calm down, Beauduin was arrested. In a statement to CBC News, Global Affairs Canada said they are "aware that a Canadian citizen has been released from detention in Hungary," and that they are providing consular services. The week-long protests were sparked by changes to the labour law, which allows employers to ask staff to work up to 400 hours of overtime per year. It is a change that was championed by Hungary's far-right Prime Minister Viktor Orban and has been dubbed a "slave law" by critics. "It means... 10 extra weeks of work every year that some workers might have to accept if they don't want to be fired. And they will only get paid up to three years after having done this work," Beauduin said. "It does sound like slavery." Beauduin, 32, is a dual Canadian-Belgian citizen. He was born in Brussels, and moved to Montreal when he was eight. He recently completed a master's degree in gender studies at the CEU in Budapest and is now working on a PhD. The CEU, founded by liberal philanthropist George Soros and run by former Canadian Liberal leader Michael Ignatieff, has long been a target of the Hungarian government. Earlier this month, it announced that new students in the school's U.S.-accredited degree programs would be taught in Vienna, Austria. Hungary also withdrew accreditation and funding for all gender studies programs in October. 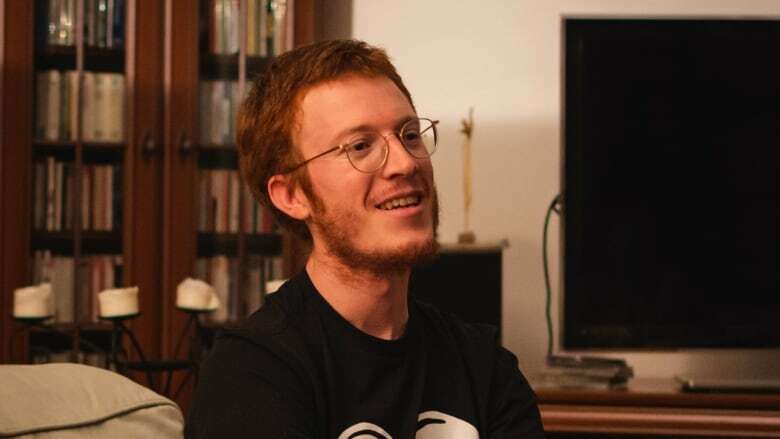 Beauduin says he has been active in the student movement in Hungary and has taken part in protests for academic freedom. But last Wednesday, he was protesting the labour law. "We decided to show solidarity with the workers because we were appalled by this new law," he said. "I think there's a big problem with media in Hungary." "As soon as the protests happened, the propaganda says that we're paid by George Soros and obviously my case was highlighted with alleged proof of that," he said. But Beauduin said the tide might finally be turning. "We've seen that more and more citizens start to be critical," he said. "George Soros cannot explain why they have such low salaries." Beauduin is now free to leave the country while the investigation is ongoing. He plans to return home to Belgium for Christmas — but for now, he has returned to the protests. "For me it's important that I will not let fear take over," he said. "I do really strongly believe that it's important to show solidarity with the Hungarian workers [and] with the Hungarian people who would like to live in a country with the rule of law and democratic standards."